Please be sure to return your National Health Insurance card. If you have moved out of City/word. If you plan to leave Japan (return to your home country). The insurance fee covers basic liability insurance for all students while they attend classes at Yoshida. In addition, students with student visas are covered at school and outside of school for both accidents and general sickness. The insurance is good for as long as the student studies at Yoshida, whether for six months or two years, with no annual renewal fee. 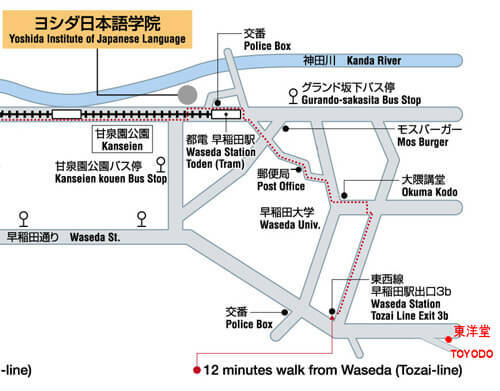 You can make your personal Inkan at Toyodo (Please refer to a lower figure.) A seal on which your name in hiragana or katakana has been engraved is OK. It costs from 1200 yen to 1500 yen. 2 or 3days to get your seal.